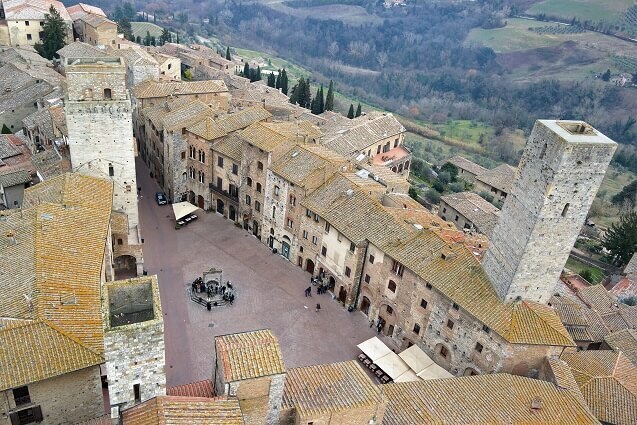 A few km away from Volterra, and half way between Florence and Siena, San Gimignano is a small village with a unique atmosphere and a precious center declared by UNESCO part of the World’s Architectural Heritage. 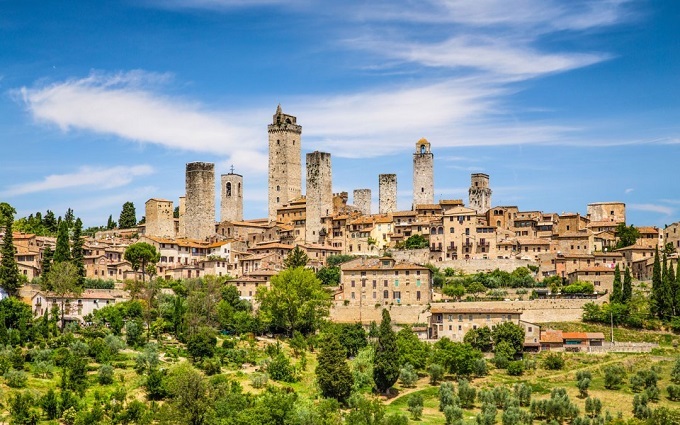 Built atop of a hill about 300 meters high, San Gimignano became powerful during the Medieval times thanks to its location, along the Via Francigena, the road connecting Rome to Canterbury and therefore passage for pilgrims, travelers and merchants that needed hospitality. Entangled in the conflicts between Florence and Siena the city developed a flourishing economy thanks to the commerce of local products such as saffron and wine. 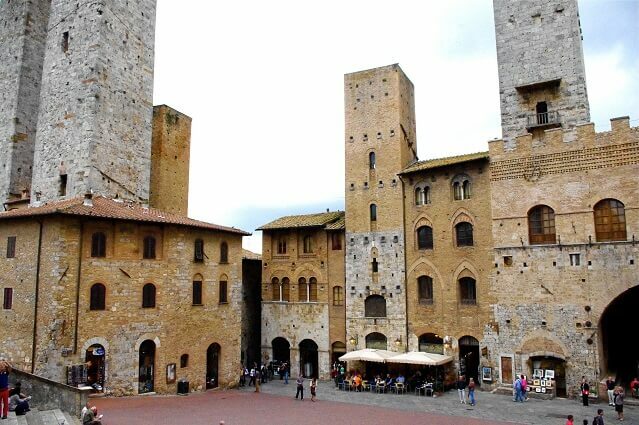 The town is renowned for its medieval towers that rise above of all the other buildings; of the original 72 towers, only 14 still exist: they have withstood the passage of time and continue to define the very unique skyline which became the symbol of the town. Local white wine Vernaccia di San Gimignano is considered one of Italy’s finest white wines and the first to be awarded Denominazione di Origine Controllata (DOC) status in 1966. Porta San Giovanni the impressive, ancient door located in the south side of the town. Piazza della Cisterna, the main square with a large cistern built in 1287. Cathedral square, located in the center of the town includes the Duomo, and several Palazzi and Towers. Created by Local Web Copyrights © 2017 Cruises on the Road in Tuscany | All rights reserved.